Ballots in the annual Penn State trustee election will be sent at midnight tonight. It’s a pivotal race that will mark a three-year effort to oust those who presided over the Sandusky scandal. But throwing the incumbent out of office isn’t enough. It’s critical to elect new leaders who’ve demonstrated they have the skill and experience to fundamentally change the way the Board of Trustees operates. Nobody has worked harder to make the Board of Trustees more transparent. And no other candidate has accomplished more. 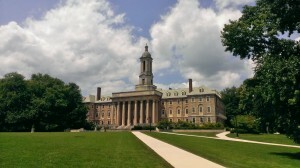 Those are real accomplishments that have made a real difference in making Penn State more open, honest and accountable. We can’t afford another election that delivers us more of the same. When you get your ballot tonight, reject the failed policies of the past for experience that matters. Vote for Ryan Bagwell, ballot position #5.